Apple’s competitor to Alexa and Google Home is coming out soon, but is it too late? Preorders have opened up for Apple’s HomePod smart speaker, more than a year behind the Google Home, and over Three years after Amazon launched their Echo smart speaker. 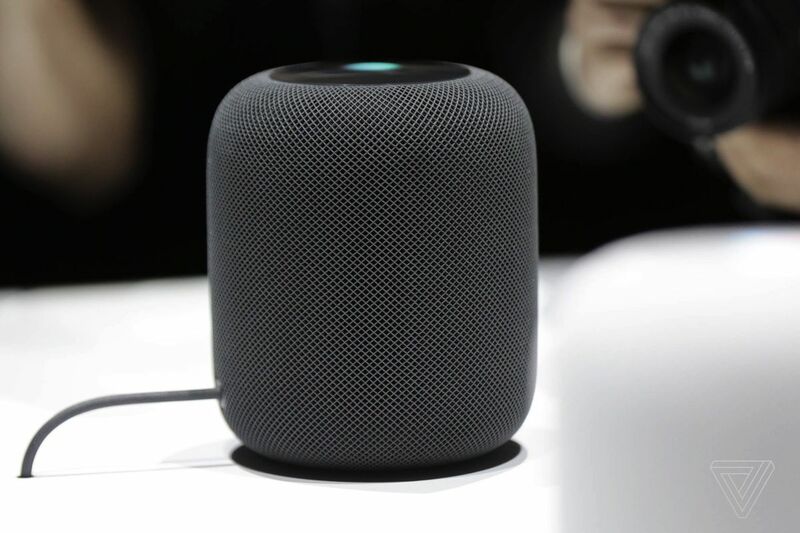 The HomePod comes with Siri built into the speaker, users can create reminders, set timers, play music through Apple Music, stream podcasts and send messages. Apple needs to be in the smart speaker market because these devices are becoming a key gateway to subscription services like music, can connect with smart home gadgets, and facilitate other activities like shopping and playing games. A lot of that used to be done through the smartphone, with one in three smart speaker purchasers reporting they were spending less time on their smartphone. HomePod will help Apple sell Apple Music and also keep Siri, its digital assistant, relevant: the smart speaker won’t replace the smartphone, but it’s still a category where Apple needs to perform well. Launching late into a new market seems like a strange business decision, but Apple have done this various times before, allowing their competitors to establish the market and make mistake and then come in with a premium product that fixes the problems that its competitors were unable to resolve. Apple faces a tough battle to break into a market with established companies offering cheaper products. But if it can convince enough people that it can do a better job of protecting privacy than its rivals, then it could still capture the premium and privacy-conscious segment of the smart home market. FIBARO presented 13 integrations compatible with smart home solutions offered by leading global IoT companies including Google, Amazon, Apple, Philips, Yale, Bose, Sonos and Yamaha at its stand at this year’s CES trade show. FIBARO, manufacturer of smart home solutions is becoming increasingly popular, with currently being available in over 100 countries across all six continents. FIBARO showcased the integration of its system with devices manufactured by the world’s leading IoT companies at this year’s CES trade show. Talking to your smart home has become one of the most popular types on integrations though the use of virtual assistant like Alexa, Siri and Google Home. These assistants allow for the verbal control of FIBARO’s devices, including selected products offered by other manufacturers which have been connected to a FIBARO home system. Users can give voice commands that turn the lights on and off, adjust a room’s temperature, check which doors and windows are currently open, or instruct the FIBARO system to simultaneously perform several similar tasks by simply saying a pre-defined verbal command. “Ever since FIBARO was founded, we’ve firmly believed that the most natural way of controlling all elements of the IoT is human speech. Currently, we’re integrating our products with the voice assistants of such companies as Apple, Google and Amazon.” – commented FIBARO CEO Maciej Fiedler. Adding Alexa to your car has never been so cheap. 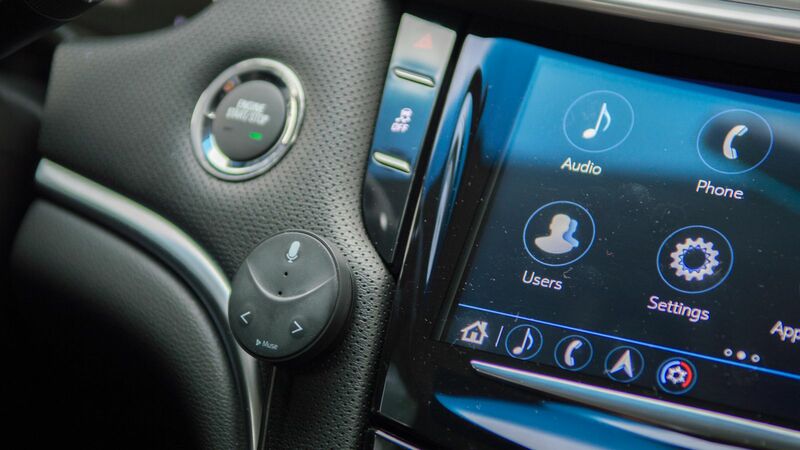 The Muse looks like any number of car gadgets — it’s a disc about the size of an Oreo cookie that sticks to your dashboard and connects to a USB port or lighter socket. It contains a microphone and it connects to your phone via Bluetooth. Speak Music is a company makes voice-recognition tech tailored for music accessories, enabling devices like headphones to better recognize very specific commands. With Muse, the company is using its tech to bridge the gap between drivers and Amazon’s Alexa. Powered by a Qualcomm chip, the device combines Speak Music’s music-specific commands with everything you can already tell Alexa to do. In the car, that will probably mostly be playing podcasts and playlists from Amazon and its favored partners (like IHeartRadio and TuneIn … Spotify compatibility is “coming”), but you can also turn up your thermostat, start a to-do list, play voice-activated word games, or anything else you do with Alexa at home. 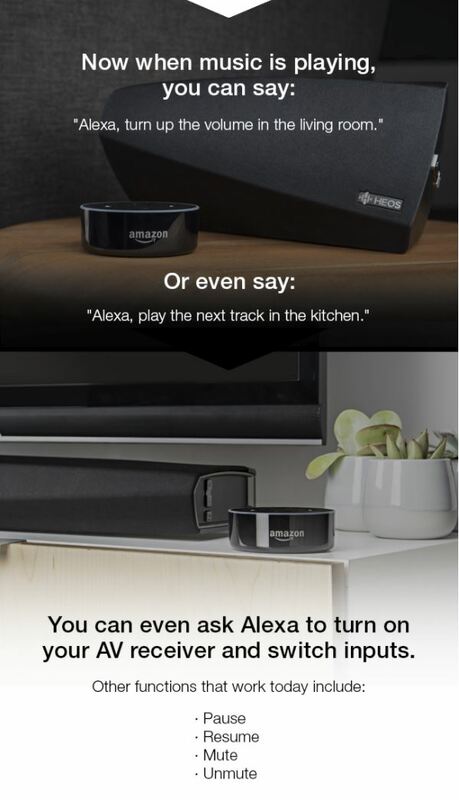 All of which is to say the Muse sounds like the ideal device for iPhone owners who want to bring Alexa to their cars cheaply and easily — especially if you use Alexa for music a lot. And since it has Bluetooth, USB, and Aux inputs, that means pretty much any car. Smart-home-device makers are becoming separated into two categories: the early pioneers and those playing catch-up. We’re seeing a lot of the latter at CES 2015, but even those entering the market now are still have a shot at getting settled on the ground floor of the smart home hub phenomenon. Plus, they have a benefit of a bit of hindsight, thanks to those that came before them. Oomi is one company that’s making its debut at CES 2015, with its Starter Kit. What it seems to have learned from its predecessors is that we’re quickly approaching the time when consumers might not want to put their smart home together piece by piece but in one fell swoop. Also, simplicity is golden. The kit comes with a Cube (the hub), a tablet, and a wearable device. All that gear might make it attractive to someone starting from scratch when it comes to smart-home tech, and the company clearly wants to try to connect everything in your home. It also provides additional devices that stream video to your TV, monitor humidity levels, and light your home. The included tablet isn’t just any tablet. It powers Oomi’s most attractive feature: tap-and-touch. Instead of syncing with Bluetooth or linking everything up on Wi-Fi, users simply ferry the tablet around, tapping compatible devices like it’s an oddly shaped fairy wand. Of course, the drawback is that this is one more piece of hardware that could break or get lost. Presumably a smartphone app could still control devices if such a disaster occurred, since Oomi says it wants its system to be compatible with Apple Home Kit and wearables such as the Apple Watch and Android Wear. Oomi is planning on marketing the system in the U.S., U.K., Australia, and especially China’s, because the country’s “culture of elderly family members living with their children and grandchildren makes it unique to the Internet of Things and home automation space,” according to the press release. Making a connected home just a few taps away might make sense for those generations who haven’t been typing on a keyboard practically since birth. The Google Assistant has always been able to control Chromecasts from a Google Home, but now that ability is expanding to the Google Assistant on Android phones sa well. 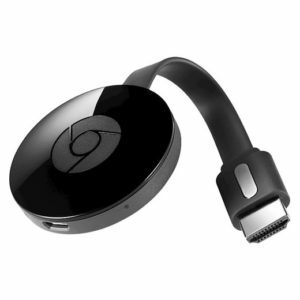 It appears to work for traditional Chromecasts, Chromecast Audio, and devices with Chromecast built in. We were able to get it to play YouTube and turn on and off a TV. It’s a really helpful expansion for a couple of reasons. For one, it means that there’s less fragmentation between the Google Assistant across various platforms, which should lead to less confusion for users; you ought to be able to ask it to do all the same things on all your devices. But also, it’ll be a handy feature for anyone who’s using Android and a Chromecast, but doesn’t own a Google Home. Say goodbye to the tedious enrollment process with the new SmartStart feature, a creation of Z-Wave technology developer Sigma Designs. There’s no guessing how to register a SmartStart product. Each has a unique QR code on the device itself, as well as the packaging. Whatever Z-Wave hub (“gateway”) you’re working with, simply open the app for that system and scan the QR codes of the products to be paired. These wunderthings automatically go where they’re supposed to go within the app – lights over here, locks over there, everything in its place …. NOTE: Names like “Office” is a challenge because of the TV show “The Office.” Alexa may get confused about whether you want to watch the show or play something “in the” office. Default room names from the HEOS app all work great! Giada has released to the market F300 which is small size computer with the latest i5 Intel’s CPU. It is completely fanless barebone and if one adds the SSD drive the it becomes a silent killer… We are really impressed with it, especially due to its dual DP (Displaty Port) high resolution video outputs. Perfect for home autoamtion system controller, silent DLNA server or even music player ! The emergence of electrical residence appliances saw the decline in domestic servants meant that households necessary low-cost, mechanical replacements. Domestic electricity provide, nevertheless, was still in its infancy – meaning this luxury was afforded only the much more affluent households. Because the variety of controllable devices within the home rises, interconnection and communication becomes a valuable and desirable feature. For example, a furnace can send an alert message when it requirements cleaning, or perhaps a refrigerator when it wants service. Rooms will turn out to be “intelligent” and can send signals to the controller when someone enters. If no one is supposed to become residence and the alarm system is set, the technique could call the owner, or the neighbors, or an emergency quantity. 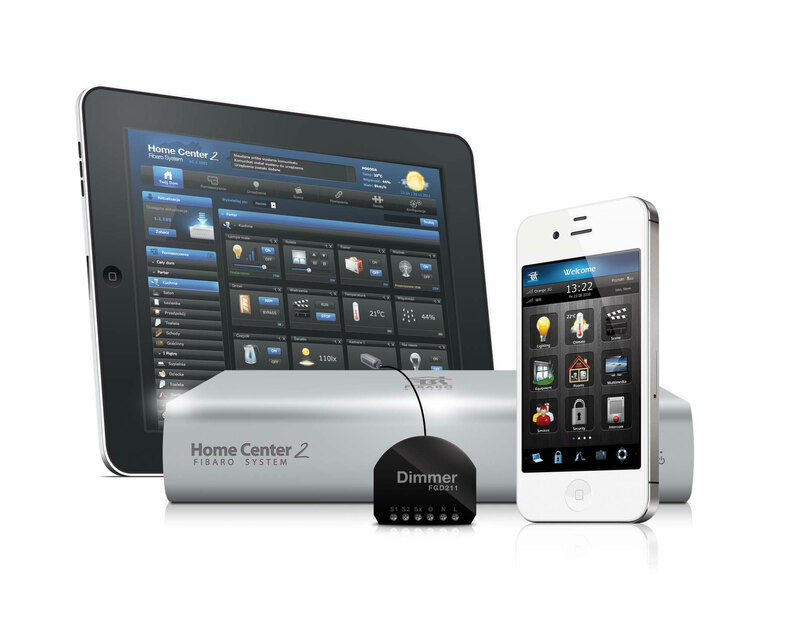 Components of a home automation technique contain sensors (such as temperature, daylight, or motion detection), controllers (for example a general-purpose personal computer or perhaps a dedicated automation controller) and actuators, including motorized valves, light switches, motors, and other people. One particular or more human-machine interface devices are required, to ensure that the residents on the residence can interact with the system for monitoring and handle; this may be a specialized terminal or, increasingly, could be an application operating on a smart telephone or tablet personal computer. Devices might communicate more than dedicated wiring, or more than a wired network, or wirelessly using a single or a lot more protocols. Constructing automation networks created for institutional or industrial buildings may be adapted to handle in person residences. A centralized controller may be utilized, or a number of intelligent devices might be distributed about the property. Heating, Ventilation and Air Conditioning (HVAC) options can incorporate temperature and humidity manage, and more frequently in Europe, fresh air, heating and natural cooling. Home automation solutions are varied and could consist of an internet-controlled thermostat, by allowing the homeowner to manage the building’s heating and air conditioning systems remotely, or it might be linked to windows to let automated opening and closing to allow hot air out and cool air in to allow for cooling from the thermal mass on the residence structure. Many systems are designed to not simply provide comfort but to also let for better power efficiency. In terms of lighting handle, it actually is simple to save power when installing different products. Basic functions including motion sensors and detectors incorporated into a somewhat straightforward home automation technique can assist to save hours of wasted power in each industrial and residential applications. As an instance picture an auto on/off at nighttime period in all key city offices, say soon after 10pm. When no motion is detected, lights de-activate, along with the owner could save kilowatts of wasted overnight power. Comparable controls on HVAC (Heating Ventilation and Air Cooling) in buildings could save a good deal a lot more energy. Not too long ago, Net technologies have been suggested as an application-level resolution to address the problem of heterogeneous home devices, creating upon the ideas of the Net of Issues. The reputation of home automation has turn into escalating significantly not too long ago because of higher affordability and simplicity by means of smartphone and tablet connectivity. The notion of the “Internet of Things” has tied in closely with each of the popularization of home automation. Presenting in the Z-Wave Pavilion at International CES 2014, Fibaro is certainly one of those hidden home automation gems that has some of the hottest sensors around. At CEDIA 2013, we got a preview of what’s to come from Fibaro. The company is coming out with a Z-Wave fire/smoke detector that easily challenges Nest’s in the industrial design and intelligence. Fibaro’s Rich Bira explains that the unit has a “black box” to record events such as the escalating temperature. “Sometimes there is a fire before there’s smoke,” he says. Beveled edges on the device makes “smoke travel in quicker compared to stamped-in holes,” according to Bira. The other fantastic thing Fibaro showed at CEDIA was – I don’t quite know what to call it – a gesture/sensor interface device (video below) that can sit behind a wall (or not) and detect gestures without the user ever touching the unit, and then trigger Z-Wave events. Fibaro marketplace – new place where you can download addons for your smart home! Bira suggests the pad makes sense for aesthetic installs as in behind a mirror or for security purposes so guests don’t know there is a controller in the space. Otherwise, Fibaro continues to build around its flagship home automation system, the Home Center 2 now available with a SIP server and open API. If you’re hurrying to catch the train and it’s late, an accelerometer on your smart phone can gauge your speed and let you know you can chill out.